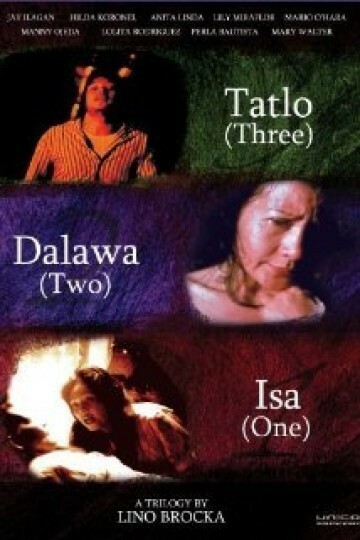 "A trilogy by Lino Brocka"
Three, Two, One is a drama film that was released in 1974. The film tells the story of three people who live in Thailand. One of them is a drug addict who is quickly dying from his addiction. The other is a young woman who has been abandoned by her family, and now has to deal with being completely alone. The last is a Catholic who feels that she cannot express her faith around her family who all follow traditional Thai religious traditions.